DENVER -- Denver residents will soon have an opportunity to vote on whether psychedelic mushrooms will be decriminalized in the city. The Denver Elections Division announced Friday that the Denver Psilocybin Decriminalization Initiative received the required number of valid signatures to be placed on the May 7 municipal election ballot. In order to get placed on the ballot, petitions must receive a number of valid signatures equal to at least 5 percent of the number of votes cast in the previous mayoral election. This year, that number is 4,726. The mushroom decriminalization petition received 8,524 signatures, 5,559 of which were deemed valid. 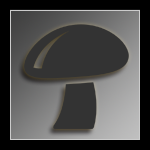 The Denver Psilocybin Initiative would make personal use, possession and propagation of psilocybin mushrooms, also known as magic mushrooms, for adults 21 and older the "city's lowest law-enforcement priority." "This is a real opportunity for Denver to be a leader when it comes to drug policy and to create an environment where individuals feel that they have a safety net to speak about their personal use," said Decriminalize Denver campaign manager Kevin Matthews. It would also "prohibit the city from spending resources to impose criminal penalties" for personal use, possession and growth. "What we're doing with our campaign is to make sure individuals are not criminalized for personal possession or personal use," Matthews said. "No one deserves to go to jail and lose their family, their livelihood, their jobs for something that has a therapeutic benefit." The initiative would also establish the "psiloycbin mushroom policy review panel to assess and report on the effects of the ordinance," much like the panel in place for marijuana. Voters in Oregon could decriminalize “magic mushrooms” in 2020, joining California and Denver, Colorado in their efforts to make the psychedelic fungus more easily available for medicinal research and treatment. Currently, psychedelic mushrooms, which contain the active compound psilocybin, are classified as a Schedule I drug by the FDA, the same category as heroin and cocaine. Possession is a felony nationwide. Schedule I is a classification reserved for drugs that have no medicinal value, so as researchers find promising results in testing psilocybin as a treatment for depression, anxiety, and addiction, that could change. Earlier this year, researchers at Johns Hopkins recommended that it be reclassified as Schedule IV, the same category as Xanax. Reclassification, however, could take up to five years. In the meantime, state and local governments are taking matters into their own hands, working to decriminalize mushrooms. Oregon’s secretary of state approved language for a ballot initiative, and now organizers just need to get enough signatures before the 2020 election (they need 117,578 signatures to get on the ballot). The initiative would decriminalize possession of psilocybin and allow the mushrooms to be grown legally with a license. Research into psilocybin is part of a larger trend of promising results in psychedelics-assisted psychotherapy, with once-feared drugs like LSD (acid) and MDMA (ecstasy) getting new life as potential medicine, with growing support for medical and recreational paving the way. LSD has shown promise as a way to help terminally ill patients prepare for death with less anxiety and fear, and MDMA-assisted psychotherapy for PTSD is currently in clinical trials and could be available by prescription as soon as 2021. Edited by bezevo, 04 February 2019 - 12:36 PM. I heard about this a few weeks ago. Bravo, Denver. Bravo. It's so sad how politics and not science paves the way for all of the USAs federal drug laws. Most of them stemmed down to basic racism and greed. Even the term marijuana was made more popular so it sounded more ethnic and exotic than cannabis, making it easier for people to fear. We deemed so many drugs had "no medicinal value" like cannabis, psilocybin, mescaline, LSD etc, while cigarette companies were allowed to target children and were even billed as healthy for some time. Like I said it's just sad...the more I think about it the sadder I get. Edited by Deleena24, 04 February 2019 - 01:09 PM. Edited by cg3p0, 04 February 2019 - 01:46 PM. are on ( Level Three ). the last step before medical Approval so your Dr. can write YOU a script . See, legalizing pot was a slippery slope.